The Dayton Region is blessed to be home to the Air Force Museum. 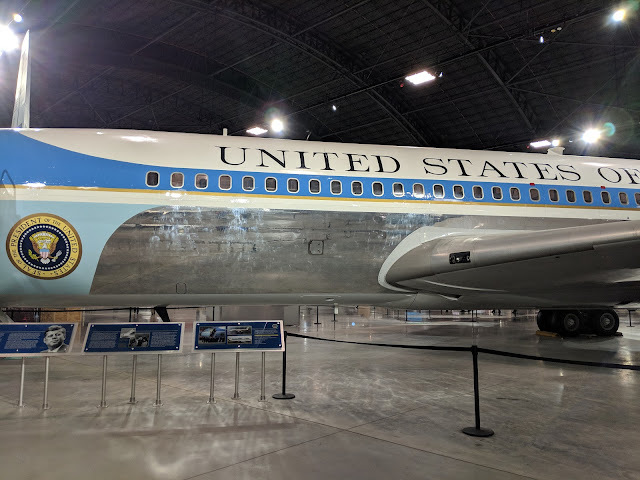 Their newest building houses a collection of U.S. presidential aircraft, called Air Force One when the president is on board, and the one pictured below was the plane that transported the slain John F. Kennedy back to Washington D.C. as Lyndon Johnson was sworn into office, one of the saddest days in many American lives. This is just one of several hundred planes, missiles and other displays offering multiple days of free (I love free) entertainment and history lessons.